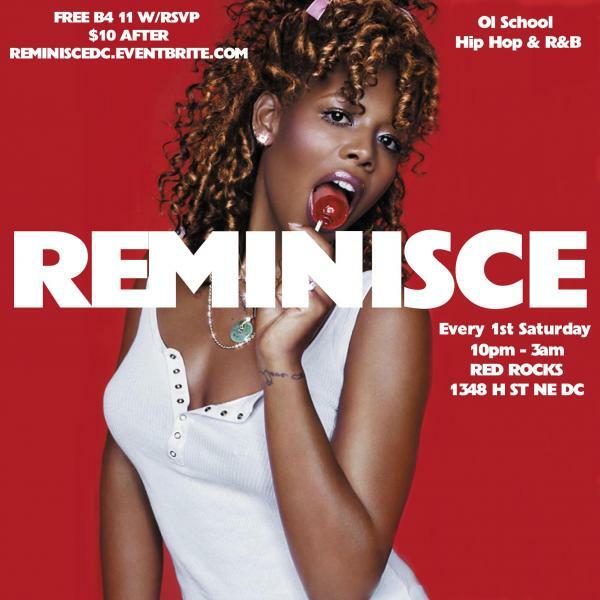 Reminisce is The DMV’s HOTTEST Ol School Hip Hop & R&B party! Join us every First Saturday at Red Rocks on H Street for good food, strong drinks, and dope music! Get in for free before 11pm by RSVP-ing to REMINISCEDC.EVENTBRITE.COM: admission is $10 after.